After a great NIC-10 football season that saw the Hononegah Indians repeat as champs, it’s time to look back at the highs and lows and give out some postseason honors. 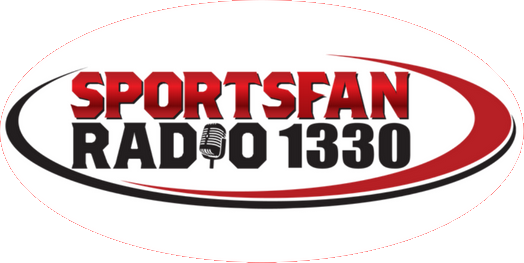 Here is how Sportsfan 1330 – led by writer Jordan Goethe – saw the season. Best Team Win: Week 4 vs. Boylan: The rivalry game proved to be the one that decided the NIC-10 championship, as the teams went on to finish 1-2. Boylan struggled to run against the Indians’ solid defense, so they chose to go to the air. But Hononegah picked them off three times, including one in the end zone in the closing minute, to preserve a 17-6 victory. Worst Team Loss: Playoffs: After a surprising close first-round win over No. 16 seed Buffalo Grove. Hononegah dropped a touch 20-14 decision to Wheaton Warrenville South that ended its season and accounted for the year’s lone loss. Team MVP: There are several to choose from, led by senior QB Ryan Van Schelven, who threw for 1,688 yards, 19 TDs and 4 INTs. RBs Isaiah Richardson and Christian Gomez, who combined for 800 yards and 10 TDs. And Zach Hale tallied 86 tackles, including 14 for loss. The edge goes to Van Schelven, whom the coaches named the conference’s Offensive MVP. 2019 Outlook: The Indians will take a heavy loss to graduation, including at quarterback, running back and a vaunted offensive line. 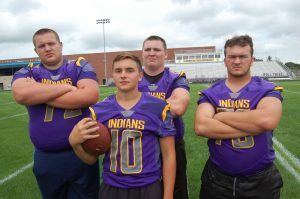 But the Indians went 8-1 at the sophomore level and 9-0 at freshman, so there is plenty of talent to restock the shelves, making Hononegah a contender once again. Best Team Win: Week 5 at Harlem: Coming off a tough 17-6 loss to Hononegah, couldn’t afford another loss if they wanted at least a piece of the NIC-10 title. And despite trailing the Huskies, Boylan was able to come back for a hard-fought 24-21 win. Worst Team Loss: Week 4 vs. Hononegah: Knowing that the Indians were co-favorites, this contest proved to be for the NIC-10 title. In a tight game, turnovers proved to be the difference as the Titans threw three interceptions and Hononegah held on for a 17-6 victory. Team MVP: Senior RB/LB Carlos Henderson (68 Att, 484 yds and 11 rushing touchdowns). As good as Henderson was on offense – and he was needed more with injuries hitting the Boylan backfield – he was just as dangerous on defense, where he was chosen NIC-10 Defensive Player of the Year by the coaches. being seniors. And the Titans have been an up-and-down team over the past few years. With such a heavy loss of seniors and a sophomore team that went 6-3, Boylan will be a playoff team, but whether it can contend for title will depend on the quick development of a lot of youngsters. Best Team Win: Week 6 at Belvidere North: Harlem shut down the run and built a big lead, forcing North to throw, something they struggled with in that game. Harlem won 33-15. Indians 24-17, one of only two Hononegah victories of seven points or fewer. NIC-10 both in passing yards and touchdown passes during his sophomore season. Honorable Mention went to a strong trio on the defense: Senior Nick Blades (43 TT, 15.0 TFL) Junior Patrick Stroup (36 TT, 16.0 TFL) and Freshman Adrian Palos (55 TT, 9.0 TFL). 2019 Outlook: After a disappointing finish to the 2018 season that saw losses to Hononegah and Lincoln Way-West in the playoffs, Harlem has much to be proud and excited about. Their defense played very well, allowing just 99 points. And with their offense led by Cooper and receiver Jalon Benson, and Stroup and Palos anchoring the defense, Harlem will be a contender – if not a favorite – albeit with a new leader, as Morrow announced his resignation after the season. the red zone to secure a huge 10-6 win. Worst Team Loss: Playoffs: The Blue Thunder scored right away and the defense looked solid to start the postseason-opening battle at Lakes High School. But North eventually had no answer for Lakes’ Mr. Do-It-All D’Lo Hardy in a 35-17 loss. Team MVP: Senior RB Clayton Davis (230 Att 1,310 yds and 14 TDs) He was finished only behind East’s Tayveon Lake in the NIC-10 in both rushing yards and TDs. their JV and Freshman teams finished in the top three. Another playoff season is on the horizon. Best Team Win: Week 7 vs. Jefferson: With a playoff berth on the line, East captured this back-and-forth affair that went down to the wire. Jefferson opened with to kickoff returns for TDs, but TayVeon Lake ran for 214 yards and 3 TDs, and In the end, the E-Rabs took home a 38-34 decision. Worst Team Loss: Playoffs: For the second straight season, the E-Rabs made the playoffs. But for the second straight season, they were handily beaten in the first round, this time a 46-0 decision to Chicago Simeon. Team MVP: Junior RB Tayveon Lake (203 Att 1,635 yds and 15 TDs) Lake led the NIC-10 in both rushing yards and rushing touchdowns. how good the ground game operated. But next year will be a little different. East will have to replace a few keys guys in front of the talented Lake. If the E-Rabs can replenish that line, they will be back in the postseason. Best Team Win: Week 1 vs. Auburn: Freeport opened things up with a dominating 32-0 victory over Auburn, which came in as one of the preseason contenders. It was the Pretzels’ most complete win, scoring 32 while pitching a shutout. Worst Team Loss: Week 6 vs. East and Week 8 vs. North: A 3-point 30-27 loss to an East team that was struggling offensively, and a 4-point 10-6 loss to North cost the Pretzels, who would have made the playoffs if they could have pulled off just one of those games. Team MVP: Senior QB Major Dedmond (67-for-148 passing, 1,009 yds, 9 TDs and 5 INTs, 125 rushing attempts for 592 yds, and 9 TDs): Dedmond finished 5th in the conference in passing and 8th in rushing. Dedmond. The defense definitely took big strides. Now the big question is who will fill in for the very talented Major Dedmond. Could Mathew Chavers III be the guy? Best Team Win: Week 9 vs. Guilford: The Vikings led for most of the game and the Knights looked like they may be the first team to lose to Guilford. But a strong rally from the Knights’ offense turned a frustrating loss into a resounding 35-20 victory. Worst Team Loss: Week 2 vs. East. Coming off a 32-0 rout of Freeport in the season opener, Auburn looked like a team that would threaten the top teams of the conference. But then the Knights’ offense disappeared in a mistake-filled 6-2 loss to East, a game in which both teams had multiple opportunities to win. Team MVP: Junior QB Khamani Sanders (77-174 ATT, 1,342 yds, 14 TDs and 14 INTs): One of the more unknown players at the start of the season, Sanders finished 3rd in the NIC-10 in passing yards, only trailing Harlem’s Cooper and Hononegah’s Ryan Van Schelven. Auburn also had a very good defensive player in senior linebacker Brian Lee, who led the team in total tackles with 75, along with 3 tackles for loss. 2019 Outlook: The future is bright, based mainly on the fact most of this year’s key players were underclassmen. They won’t have as big of a turnover as they did a year ago, and the team will be all the more comfortable in the second year of Coach JP Toldo’s system. battle. The Bucs actually made a fantastic goal line stand, stopping Jefferson on a 4th-and-goal situation to secure the win. Worst Team Loss: Week 5 vs. Auburn: The Bucs showed life early on, but that wasn’t the case in the second half. Auburn broke things open to roll to a 41-21 road win. receiving yards. Senior QB Austin Hausen also threw for 1,169 yds to along with 6 TDs and 10 INTs. 2019 Outlook: It was about small steps, as the Bucs improved by one win over their 2017 campaign. They lose one of their best QBs in recent school history with the graduation of two-time 1,000-yard passer Hausen. The key is finding capable QB to replace him. But more important, the Bucs need to add to their overall numbers to start making that climb back to the upper half of the conference. Best Team Win: Week 3 vs. Guilford: After two sluggish offensive showings against Harlem and North, Jefferson’s offense broke open for a 30-14 victory over the Vikings, their only win of the season. Worst Team Loss: Week 4 vs. Belvidere: Coming off their first win and facing a Bucs team that had given up 115 points in the first two weeks, the J-Hawks suffered a crushing 14-7 defeat. stand to end the game. Team MVP: We have Co-team MVPs: QB George Williams (827 passing yards along with 5 TDs nad 4 INTs) and RB/CB De’Ario Newble (642 rushing yards and 4 TDs). Ambrogio. With Williams and Newble back Jefferson should more than double its 2018 win total. Best Team Win: None: After a season in which they missed the playoffs by one win, the Vikings went winless. Worst Team Loss: Week 8 vs. Belvidere: It was the closest the Vikings came to a victory, falling to the Bucs 26-24. They also had a couple of other near misses, losing to Freeport by 12 and East by 5.
attempts, 736 yds and 9 TDs): After replacing 2017 QB Julian Haynie, Richardson struggled in the passing game but he did account for half of the team’s total touchdowns. 2019 Outlook: There was a lot of distractions early, with the sudden health issues that sidelined Coach Bruce Bazsali a few days into training camp and forcing the team to shift to Denny Diduch, who had just joined the team after a successful run as head coach at Forreston. With a full year under Diduch to allow him to install his system and offseason workout program, Guilford should be improved next year. Upper half of the NIC-10 may be a bit of a stretch, but a possibility. Offensive Player of the Year: QB Ryan Van Schelven, Hononegah; QB James Cooper Jr., Harlem; QB Major Dedmond, Freeport; RB Tayveon Lake, East; RB Clay Davis, North. Breakout Player of the Year: RB Tayveon Lake, East; RB Christian Gomez, RB Clay Davis, North; WR Brandt Hixson, Harlem. Coach of the Year: John Cacciatore, Boylan; Jim Morrow, Harlem, Brian Zimmerman, Hononegah, Anthony Dedmond, Freeport. Team of the Year: Hononegah, Boylan, Harlem, Belvidere North. advanced further than any other team in the NIC-10. Game of the Year: Harlem-Boylan. The Titans made a big fourth-quarter comeback, outscoring the Huskies 15-3 to gain the 24-21 victory.